As of today have a great trailer available for Life off grid. You can see it on our website or enjoy it on Vimeo, where you can also grab the embed code to replay it from your website. Our film and book have also found a few new homes on the internet. 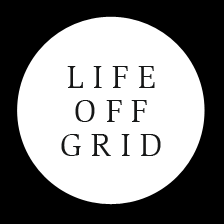 You can follow us on Twitter, Facebook and on Instagram at @lifeoffgridfilm. By following us on any of your favorite social media you will be the first to know about upcoming movie screenings and distribution.